STATEWIDE -- You wouldn't know it from the ads on their behalf, but Joe Donnelly and Mike Braun have similar stances on immigration. Donnelly is one of the few congressional Democrats who supports President Trump's border wall. He's voted for wall funding three times, though he says parts of the border would be better served by drones or other technological steps. Braun takes a similar stance -- he says the wall doesn't need to stretch "from sea to shining sea," but says it's a sensible approach in urban areas with heavy traffic back and forth across the border. On Capitol Hill, the wall discussion has frequently been paired with the stalemate over resolving the legal status of so-called DREAMers -- people who were brought to the U-S illegally as children, but have never known any home but the U-S. An executive order from President Obama gave those residents legal status. Federal court orders have kept their status in place for now, despite the Trump administration's planned phaseout and Congress's inability to agree on a fix. 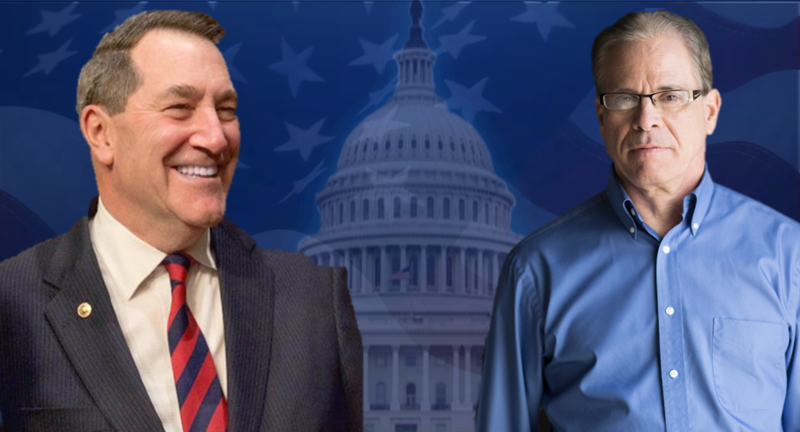 Both Donnelly and Braun say legalizing their residency should be a top priority. But Braun emphasizes they shouldn't receive full citizenship without going through the same process as everyone else. The fight over citizenship has been the clearest difference between the two candidates on immigration. Republican ads have blasted Donnelly for supporting an immigration reform bill five years ago which would have created a path to citizenship. 14 Republican senators joined Democrats to pass that bill, only to see the House refuse to act on it. Donnelly says the bill would have created the one of the largest funding infusion ever for border security, including money to hire more border patrol agents and install more surveillance cameras.